Fear, ego, time and misinformation can keep you from asking for the gifts your organization needs. Don’t make these four mistakes. We are entering the giving season. Many readers will focus on Thanksgiving, Christmas, Chanukah, Kwanza and the New Year. Here at FUNdraising Good Times we are focused on giving to nonprofits. Like children who dream of a pile of gifts under the tree many nonprofits are praying – or hoping and crossing their fingers – that the money they need will come their way. A lot of money will be given to nonprofits over the next few months. 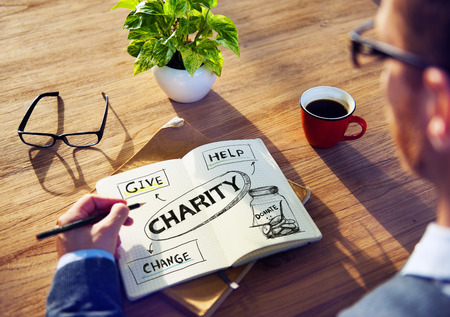 Many families make their charitable gifts at the end of the year. Still others make gifts to honor their friends, family and loved ones. Will they give to your organization? Here’s our question: will you ask them to give? Have you already asked? Over the years we have learned there are many things that keep people from asking for gifts for the nonprofits they believe in. The four “excuses” below can get in your way and keep you from successful fundraising. Fear. Fear of rejection. Fear of success. Fear of what others will think of you. You may not know you are afraid, but you keep procrastinating, feeling that you are “one down” by asking. When you do try to ask, your heart isn’t in it because you are so afraid of rejection. You can’t believe you are asking, and after a one-on-one meeting you realize that in fact you didn’t actually ask. You talked all about your organization but you didn’t ask. Ego. Another form of fear, your ego can keep you from asking your peers or those in a higher (or lower) economic bracket. You don’t want to be seen “begging,” or you don’t want others to think your organization is “in need.” You forget that asking others to give is an honor; and that being asked to give is an honor. You are not asking others to give to you, you are asking them to support an organization you believe in. Time. Develop your schedule so you can be nimble and react when the time is right to ask a donor to make a meaningful gift. If you don’t have time, you won’t have money. Misinformation. When you don’t know your donors, and don’t know the people who surround and support your organization you don’t really know who can give what. Don’t be surprised if a board member makes a large gift to another organization. Think about it: how well do you know her? Have you personally asked her – in a one-on-one conversation – for a gift? Don’t make assumptions about giving capacity, and don’t overlook those closest to you. The above “excuses” aren’t always obvious. You might not see what is keeping you from your success. Take a look at your fears and motivations. Set aside time on your calendar. And talk to those who know your donors to learn if you are asking for people to give to their capacity. Mel and Pearl Shaw are authors of the new book FUNdraising Good Times Classics Vol. 1 now available on Amazon.com. For help growing your fundraising visit www.saadandshaw.com or call (901) 522-8727. Donor Retention and Attrition: How effective is your fundraising? Enter your email address to subscribe to FUNdraising Good Times blog and receive notifications of new posts by email. Anthony Ray of HBCU Nation interviews Melvin Shaw. Listen in on an engaging conversation about Dr. Bethune and how what she did still resonates today.